I have BT turned on, but I have not yet paired it to a device. I've downloaded version 5 to my Samsung tablet 4. I cannot find a way to get to a settings screen. Are you talking about this one ?? I can't find any active areas on the screen except for the joystick and 6 buttons. There is also the pulldown notifications panel that is used to turn on the different table functions (wifi, location, bluetooh, etc). Thanks that worked. Where did you find that? I used a new service called "Search Engine"
Can you connect now to your Arduino ?? Duh!! Usually google is my friend, but sometimes I don't know what to ask. I'm using a Propeller MCU. 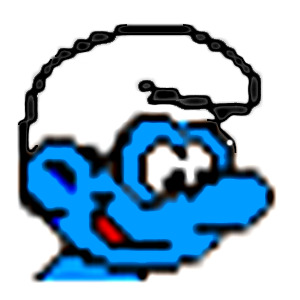 I have C and Forth programs I wrote (using yours as a basis) for the previous protocol. I've got to make a few changes for the new protocol. ported to the Propeller environment and offered to the Parallax Community. 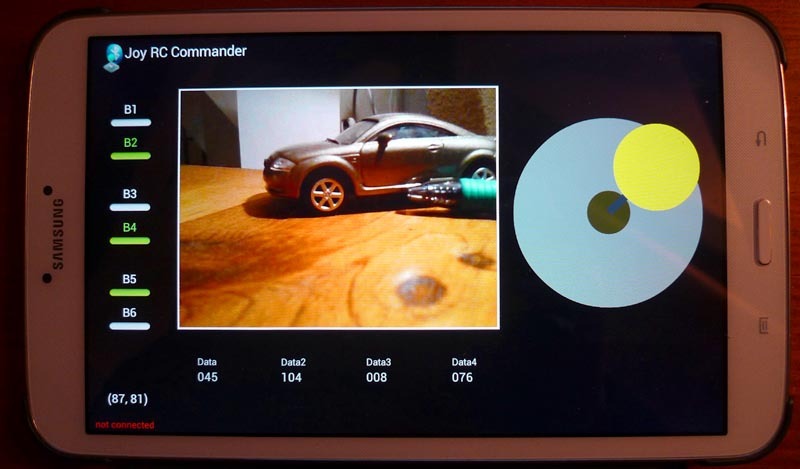 I've written a C program to use BT Commander with the Parallax Propeller ActivityBot. So far I have the sections that (1) use a separate core to read the bluetooth data, translate the data to x & y (or button value) and transfer the results to the main core that continuously loops through the drive commands, (2) take the Joystick position and send drive commands to the bot, and (3) read the buttons -- I only have 2 buttons programmed so far, E-stop and Quit, but I intend to use the buttons to turn on an ultrasonic range finder and the Pixy color tracker. I still have not gotten my head around the method for building the data frame for sending data to the android. I want to use that to send range data from the UT range finder, but I'm trying to work out how I want to change numbers to ascii for the data frame. Your sketch is a help, but the library functions are different so I try to port the concepts rather than the code. Two questions -- 1. Does the data sent have to include values for all data fields? Or can some be left out? 2. When the button status is sent to the android device, is it echoed back to the bot? For data feedback to Android, just aknowledge button status on datafields phone screen. 1. Does the data sent have to include values for all data fields? Or can some be left out? Thank s for the info. I actually did use the approach you described. First I just read the buttons & printed the value to make sure that the android would communicate. 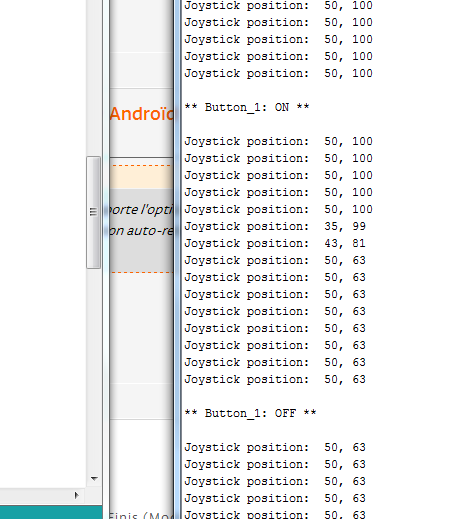 Next I added code to differentiate joystick from button data. Then I moved the reading of the data from andriod to a different core and printed the results from the main core. That was where I found a problem. When transferring data between cores the Propeller automatically syncs the transfer for 1 variable. For transferring groups of related data (x & y from the same time) the programmer has to handle it. When the program printed x & y it was taking x & y from separate sequential data sets. So I added a couple of global variables 'okwrite' and 'okread' to keep things sync'd. My next steps are tuning the drive speeds and x y to speed scaling, sending data to the android (which I'll do in one of the earlier / simpler code versions), and then running things like pixy and ping. I am glad that you deleted the android echoing of the button status since it complicated the code. One other thing, I haven't seen any button or joystick errors yet, but for a roaming robot they may start as distances increase. So I will port your error checking code. then parse back this value ?? I originally tried something like that, but it didn't work -- possibly because it was 3AM when I tried it. I did that with the Forth code I wrote for your earlier versions of the app. Although the flags method is easy and it works, I'd rather do it in one transfer rather than 2, so I'm going to try again. I revised the code that transfers the x & y data between cores (and it works).